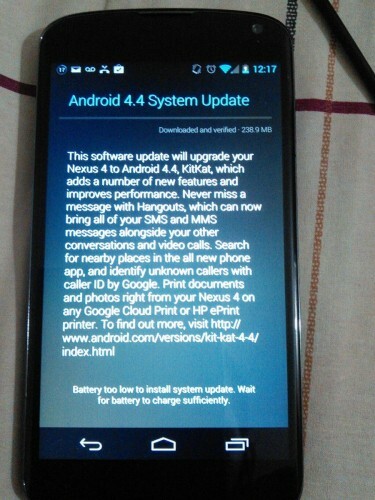 Some Nexus 4 users are reporting that the Android 4.4 update has finally upgrade their phones. The update comes just hours after the Moto X received the same and updated to Android 4.4. Google begins out a bug fixing update to some of its others Nexus devices. It seems that the KitKat OTA for the Nexus 4 rolled out with a slight delay to allow Google to fix the bugs found after the Nexus 7 and Nexus 10 were updated last week. Few days back, Google announced that it would be rolling out the Nexus 4 Android 4.4 KitKat update in the near future though it didn't say exactly when. A few days later, the company introduced Nexus 4 Android 4.4 KitKat update factory images and binaries, something that hinted at the arrival of an Over-the-Air update for users. 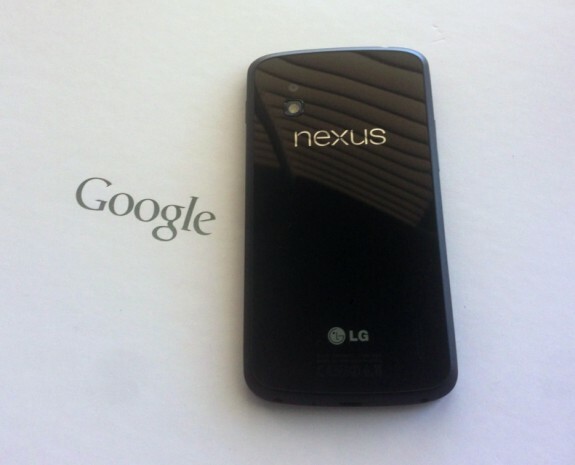 That OTA update never arrived and Nexus 4 owners were left in the dark. Earlier today, we told you that the Nexus 4 Android 4.4 KitKat update OTA was closer than ever and it appears that that assessment was dead on as the Nexus 4 Android 4.4 KitKat update appears to be rolling out to owners right now, only a few hours after new factory images and binaries hit Google's developer site. Indeed, this Android 4.4 KitKat roll out has been far different than other Android roll outs for Nexus devices. Typically, we see a very orderly roll out, across devices. This roll out has been much more fragmented, something that has been compounded by the silence from Google. Android 4.4 KitKat won't bring to the Nexus 4 the new Google Experience Launcher, but there still is a lot to look forward to.